Sacramento Food Bank & Family Services (SFBFS), the official food bank of Sacramento County, received a grant this spring to expand food storage and access for dozens of Partner Agencies. I’ve driven by Our Lady of Assumption Catholic Church hundreds of times over the past decade. Just a few blocks from my house, I’d always admired the beautiful statue out front that showcased flowers and colorful fabrics at different times throughout the year. On Wednesday, July 24 I decided to learn a bit more about the church’s role in fighting hunger in our community. On Wednesday, I enjoyed the opportunity to tour the food closet of St. John the Evangelist Catholic Church. What a wonderful experience! 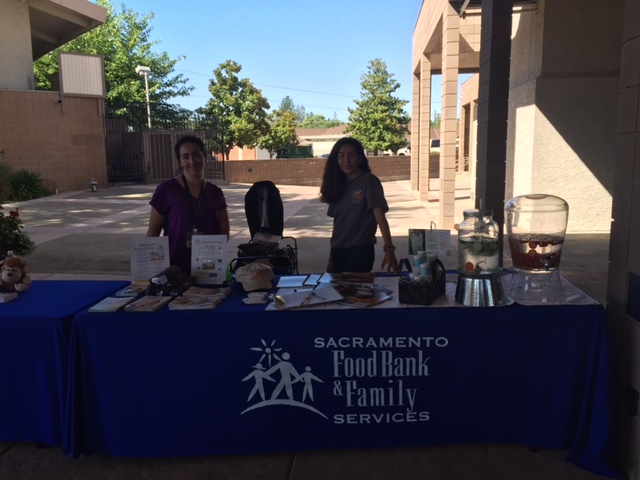 In June, I attended Sacramento Food Bank & Family Services’ bi-annual Partner Agency meeting where Partner Agencies shared accomplishments from the past year and exciting goals for the coming months. Over 200 attendees broke up into groups based on geography and played bingo to learn more about fellow agencies in our community. Toward the end of the two-hour meeting, we swapped contact information with three Partner Agencies and agreed to set up informative visits. I recently attended a meeting for NFAN 4, a collection of 12 churches, food pantries and organizations located in Citrus Heights and Orangevale. Sacramento Food Bank & Family Services (SFBFS) created NFAN, Neighborhood Food Access Network, as an innovative approach to ending hunger in Sacramento County and I was very excited to see a meeting in action. With a mission to create opportunities so people can live better, Walmart and Walmart Foundation donated more than $1.4 billion to organizations throughout the U.S. in 2017 and partnered with Feeding America to address food insecurity by building the capacity of food banks across the country. Through that collaboration, Sacramento Food Bank & Family Services (SFBFS), a distribution partner of Feeding America, received $200,000 from the 2017 Retail Agency Capacity Building Grant which is designed to address the rescue of perishable food from retailers in order to then distribute it to local communities. How does a food bank measure success? To answer this question, we look to our mission: Sacramento Food Bank & Family Services (SFBFS) is dedicated to assisting those in need by alleviating their immediate pain and problems and moving them toward self-sufficiency and financial independence. 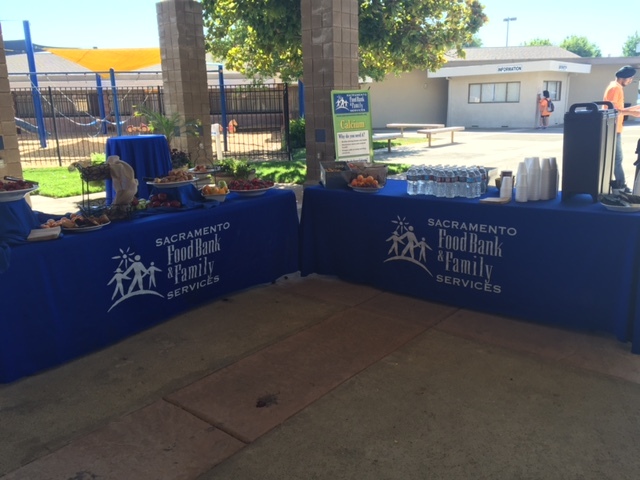 About a month ago, I celebrated my one year anniversary with Sacramento Food Bank & Family Services (SFBFS). What an incredible year full of learning and new experiences. In addition to my role as Communications Officer, I’ve challenged myself to be part of a variety of different planning committees. The goal? To dive head first into this position and learn as much as I possibly could about all facets of this wonderful organization. Last winter, I helped plan SFBFS’ Holiday party and just last week, I was proud to be a part of the amazing team that put on our very first Partner Agency Conference! 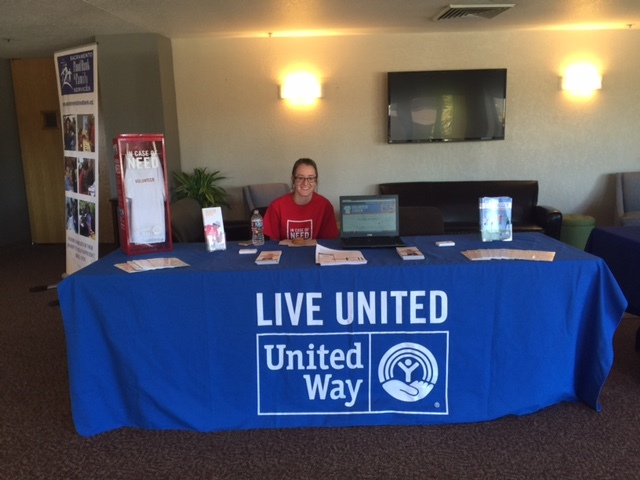 The Partner Agency Conference idea originated about four months ago when the Food Bank Services team decided to host an event dedicated to our more than 220 partner agencies. Many of our agencies are very small and often have little additional resources to provide to the families that need it most. Keeping with SFBFS’ mission to assist those in need by alleviating their immediate pain and problems (food/clothing) and then moving them towards self-sufficiency and financial independence (education), we wanted to make good on our promise to be a partner in the fight against hunger. As Sacramento County’s main food bank, SFBFS is responsible for feeding the 240,000 food insecure families in our region. This simply would not be possible without the dedication and compassion of our partner agencies. Recognizing that many of these organizations struggle to stay afloat themselves, our goal was to provide a day chalk full of resources to the agencies who ultimately help us serve 135,00 men, women and children every month. 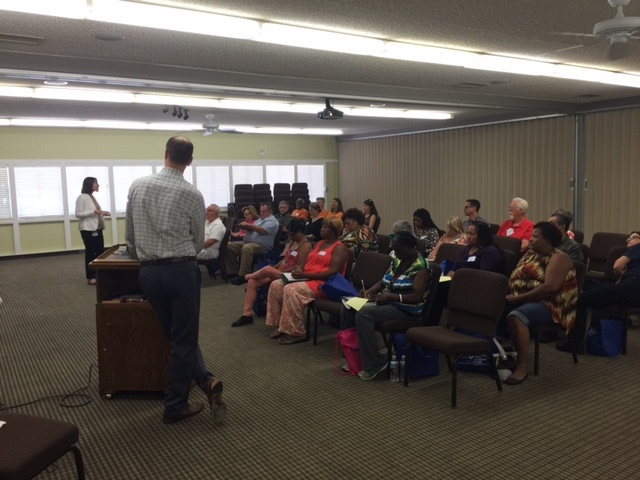 On July 14, 240 individuals showed up for our inaugural Partner Agency Conference at Arcade Church. We were incredibly blessed to have this venue donated to us and the support of the wonderful church staff was so appreciated. After a welcome from SFBFS’ President/CEO, Blake Young, the agencies were off for a full-day of learning. Three different class sessions were offered throughout the day including classes like: Cultivating a Successful Volunteer Program, Food Safety Review, Simple Funding Strategies for Success, CalFresh, Building a Healthy Food Pantry, Marketing Basics for Your Food Pantry and more! Speakers included local experts and SFBFS staff. Lunch was provided by Plates Café and Catering, a local Sacramento restaurant run by St. John’s Shelter for Women and Children. In addition to serving homeless women and their families, Plates Café and catering is also run by women looking to build their job skills and prepare themselves for the work force. The ladies did a fantastic job catering our event and the food was delicious and healthy! Lunch was followed by an inspirational speech from world-renowned expert on gratitude, Dr. Robert Emmons. While the work of serving our community’s struggling families can often be challenging, Dr. Emmons reminded us of just how good we have it and to always remember to express gratitude. After a full 8-hour day of learning, our partner agencies headed home with a wealth of knowledge and a rejuvenated purpose for serving Sacramento County’s 244,000 food insecure. The feedback I received throughout the day made all the hard work of planning the conference pay off. 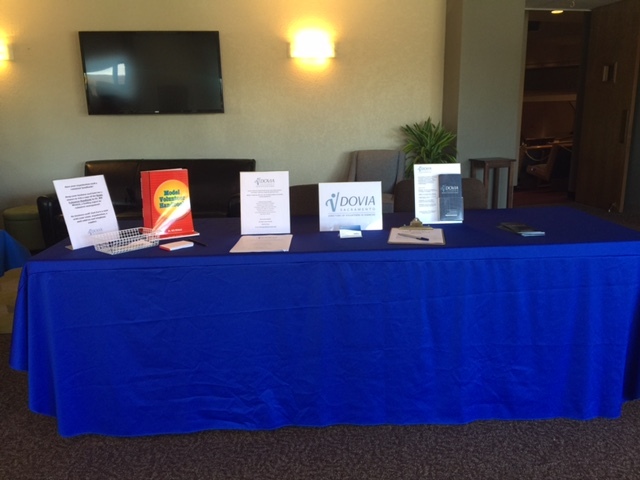 I had multiple people come up to me and express what an amazing opportunity this had been for their organization to learn and expand their services to help more people. With one year under our belt, I’m looking forward to see what next year will bring.